Missing reports are being filed all over Jarrett Creek, and considering the tension between locals and the Summer People, there is more concern over the lost dogs than the absent Doctor Lewis Wilkins. Even his friends don’t seem unduly alarmed, and they are unwilling to disclose much about the doctor’s recent boat purchase, his non-existent medical practice, or the lawsuit that drove him out of the suburbs of Texas. Chief of Police Samuel Craddock discovers that there is much that the doctor seems to be hiding, and those secrets may be what led to a gruesome discovery. It seems the good doctor was never far away; in the woods just behind the Wilkins home lays the doctor’s body, mauled to death by dogs. Even worse, Lewis Wilkins’ hands had been bound, rendering him unable to defend himself from an attack he would have seen coming. As the number of missing household pets increases, Craddock can’t help but wonder if they are somehow related to the doctor’s death. An attempted theft leads the police chief closer to tracking down the missing dogs, who he fears may be used for medical purposes…or something even worse. The world of dog fighting is not one even the State Police are eager to tackle, and they would prefer to let the rotating games move on than face down the gun-toting participants. Animal lovers shouldn’t hesitate to delve into this outstanding mystery that veers into completely unexpected territory. While there remains an underlying tension as one worries for the fate of the missing dogs, readers will delight in the Chief’s unexpected “temporary” adoption of an adorable puppy. The softening of our favorite craggily and wry police chief continues when he meets an independent and exciting woman, although it definitely complicates his already complicated relationship with a very nice lady. Terry Shames deserves every award she has earned for this deftly-plotted, always thoughtful mystery series. Craddock has the dry wit and sardonic outlook of an experienced lawman, yet he is never so jaded as to be unmoved by tragedy or sacrifice. Every character comes to life within these novels, with their witty dialogue humorous not because of outright jokes but because of life’s absurdities. This is a series that should always be at the top of one’s To Be Read list. 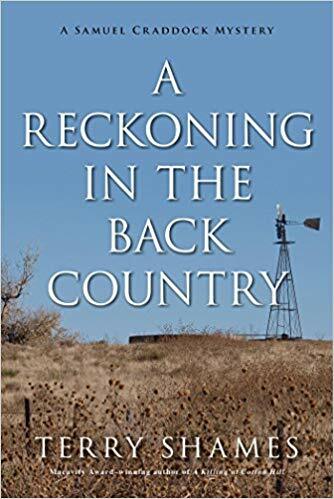 To enter to win a copy of A Reckoning in the Back Country, simply email KRL at krlcontests@gmail[dot]com by replacing the [dot] with a period, and with the subject line "reckoning,” or comment on this article. A winner will be chosen August 11, 2018. U.S. residents only. 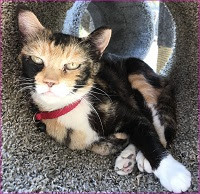 If entering via email please include your mailing address (so if you win we can get the book sent right out to you), and if via comment please include your email address. You can read our privacy statement here if you like.